Enjoy a beautiful September weekend of exquisite food, farming and community in the picturesque Oley Valley of Berks County, Pennsylvania. Join us for the whole weekend of events, or choose one that you just can’t miss. On Saturday evening, join us on the scenic hillside of Eckerton Hill Farm for a five-course dinner prepared with the fruits of the land where the table is set. James Beard award-winning Chef Dave Pasternack will prepare the meal at your tableside. The farm raised supper will feature regional wine and craft beer pairings and an opening lecture by a renowned organic farmer. “Dinner in the Dell” is the farm’s most cherished annual tradition, and our way of celebrating late summer’s beautiful bounty of food in the very place it were it was grown. A portion of the proceeds will be donated to the Berks County Historic Preservation Trust. To learn more about the Trust’s mission, click here. On Sunday morning, join farmer and author Tim Stark for a tour of the surrounding Oley Valley’s family farms. 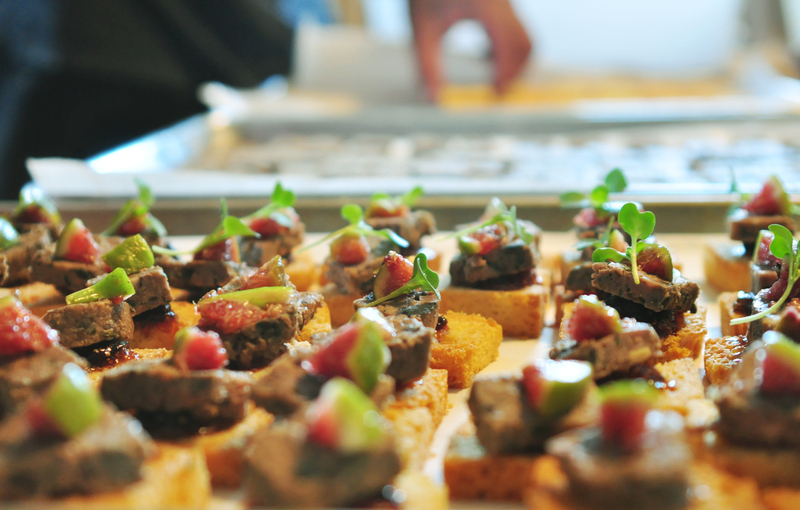 Learn about the growing practices that produced the ingredients on your plate the night before. From 10 to 1, Tim will guide you around the fertile valley where you will have the chance to visit award-winning mushroom farm Oley Valley Mushrooms and sample wines at family-owned and operated Blair Vineyards. Tim will end the trip with a personal tour of his own farm, Eckerton Hill, during which he will discuss his organic and heirloom vegetable growing practices. To get there, use our free transportation or follow us in your own vehicle for a joy ride on winding country roads with scenic vistas to be enjoyed throughout. Attendees of both of Sunday’s events can help themselves to a complimentary pizza baked in our hearth oven for lunch between 12 and 1. On Sunday afternoon, energize your body, mind and spirit with a wellness retreat by Grace Galanti of Aurum Holistic Skincare. Begin the afternoon with a yoga session perched on the scenic Eckerton Hill with instructor Dorian Abel of Healing Yoga. Then, experience Dr. Hauschka’s “Radiant You” detoxifying self-facial while sipping on supergreen Stark Naked Juice. And finally, stroll back up the hill for a vegetarian, farm raised dinner with local wine pairing prepared on site by renowned Chef Gracie Skiadas of Gracie’s 21st Century Cafe. Leave the valley with a belly full of wholesome food and an awakened spirit. Space is limited. RSVP for your Taste of Oley Valley Weekend by September 10. For tickets and registration details, visit http://dinnerinthedell.eventbrite.com/. Questions or feedback, contact Stefanie Angstadt at eckertonhillfarm@gmail.com. The price of the dinner is ridiculous. Seriously. And please tell me that’s for two people? If you’re hoping to spread the word about organic farming, that’s not the way to do it. And you need different photos than that tomato on your site. I saw that and thought there is no way I’m eating there period. We’ve been organic gardening for years. My sister has won national awards. We are local. Sorry, just can’t support this. Thanks for your honest criticism. We want to take a moment to address your feedback because there may be others with questions regarding the pricing for Dinner in the Dell. 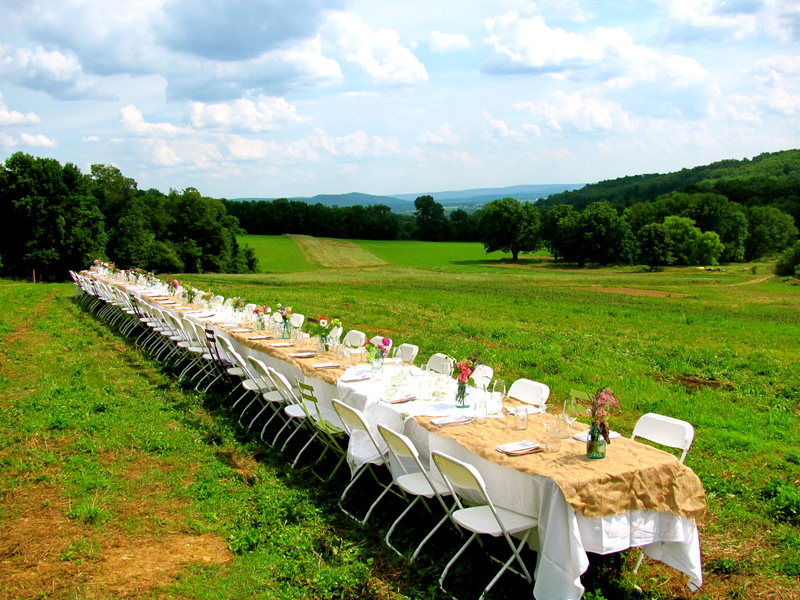 The price of the dinner does not reflect the high cost of organically raised foods – it primarily reflects the labor costs involved in coordinating and creating a five-course dinner in a field. Although the promotion of small family farms is certainly a positive externality of the event, the purpose is centered on a celebration of our growing season with an inspirational chef. It is a fine dining experience, complete with wine and beer pairings, at what could be considered a pop-up restaurant without walls. Everything is from scratch – not only the meal and the kitchen, but the setting and organization, too. In our five years of doing field dinners, we have yet to see a person walk away unhappy. If it were in the interest of making money, we would not be doing farm dinners in the field, because even at the $200 price point, we do not cover our costs. Further, we donate a portion of each ticket sale to a local cause, and this year, the proceeds will benefit the Berks County Historic Preservation Trust. We hope that with experience and infrastructure, we can ultimately reduce our costs and eventually make this a profitable event. In the meantime, we undertake this project every year for the people who love the experience and encourage us to open our farm to them. We have several events on our autumn calendar that suit different interests, and we encourage you to explore them. Our Wood-Fired Pizza and Movie Night is a $20 suggested donation and kids are free, our Gardening Workshop is $30 and includes a farm-raised lunch, and our Oley Valley Food & Farm Tour is $15 for a half day of lectures, tastings and conversation. As a production farm, we could easily focus on growing tomatoes. That would be simpler. But we organize these events because we love inviting the local community to the farm, and we hope our passion for this community, via our CSA, farm stand, events, and so on, will continue to inspire and develop a stronger food culture in Berks County.